A special fire exit bolt for an emergency door. 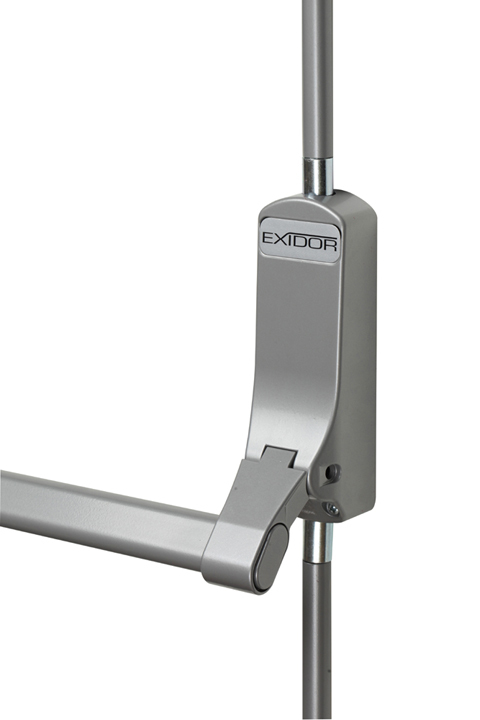 A top and bottom fastener is controlled by a horizontal bar across the door. People pressure on the bar will cause the door (which is hinged outwards) to open.